Do many today in the West read the works of the ascetic and spiritual writers of the ancient Church? But the Orthodox – monks and laity – read these books and guide their spiritual life by them. We have gathered today to celebrate the Triumph of Orthodoxy. This feast was established in the ninth century to mark the final victory of the Church over iconoclasm, and also in memory of all the great Fathers and Teachers of the Church – theologians, hierarchs, priests, monks, and laymen – who have dedicated their lives to the defense of Church doctrine from heresy. To all of them, by tradition, we on this day proclaim Eternal Memory, while to heretics and schismatics – Anathema. In many Western countries, the Triumph of Orthodoxy has become a day on which the Orthodox of various jurisdictions gather together in order to pray together and to witness to their unity of faith. This unity is not easy to maintain in conditions in which there sometimes arise contradictions, misunderstandings, and even conflicts between Local Orthodox Churches. Unlike the Catholic Church, the Orthodox Church does not have a single head, apart from the Lord Jesus Christ Himself, nor does it have a single administrative structure; instead, every Local Church has its primate and governs itself independently. Despite this apparent disunity, the unity of world Orthodoxy is preserved, and the witness and ministry of the Orthodox Church continue. What is the Triumph of Orthodoxy today, in our time, so distant from the ninth century, when this feast was established? Above all, it is that – regardless of the most severe persecution – the Orthodox Church has not lost its faith and its liturgical tradition, reflected in its church architecture, iconography, church singing, and the whole structure of its services. The Orthodox Church has been persecuted and oppressed over the course of many centuries – by Arabs, Crusaders, Mongols, Turks, and the Bolsheviks in Soviet Russia. Repression on an unprecedented scale was unleashed against the Russian Church in the twentieth century, when hundreds of bishops, tens of thousands of priests and monks, and millions of laymen were killed; a multitude of churches was destroyed; all monasteries and theological schools were destroyed; and when the goal was to wipe off the Church from the face of the earth. But the Church survived, preserving its faith and its unity at the expense of the blood of the multitude of Confessors and New Martyrs who are our intercessors before God. Today many churches are being built, restored, and renovated – which witnesses to the demand for Orthodoxy, its enduring relevance, and its vitality and spiritual power. 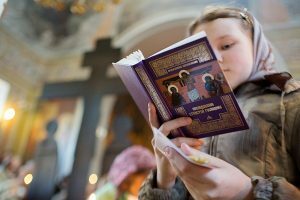 Churches in Russia and other Orthodox countries are filled with people, and those Orthodox people who are forced to leave their homelands look for churches abroad, because they neither want nor can live without the Church. And this holy church, in which we have gathered today, stands on scaffolding and is being restored, both because it is in demand, and because people need it. Never – neither in the pre-Revolutionary era, nor between the world wars, nor in the post-war period – have as many people gathered in this church as in recent years. What draws them here? The divine services, the icons, the church singing? All three. But above all, it is because here, in church, people encounter the Living God Himself in prayer and the Holy Mysteries. And nothing can replace that encounter. 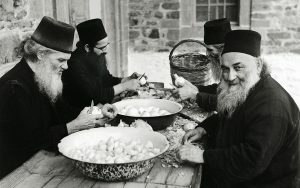 The Triumph of Orthodoxy consists in the fact that, over the course of many centuries, the dogmatic teaching of the Orthodox Church has remained inviolate; it has, as before, preserved the same Apostolic faith, the Patristic faith, the Orthodox faith, which was preached by the Fathers and Teachers of the Church. Do many in today’s Western so-called “post-Christian” world know the names and read the works of Basil the Great, Gregory the Theologian, John Chrysostom, Maximus the Confessor, John of Damascus, and Gregory Palamas? At best, these names are known by scholars: professors and academics, who study the works of the Holy Fathers as monuments of the past, as museum exhibits. But Orthodox people read the works of these Fathers; for them, these works are a testimony of faith that refresh and animate people’s hearts just as they would have done ten or fifteen centuries ago. 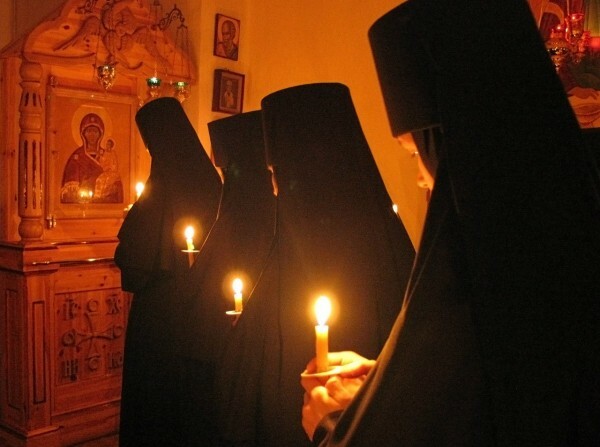 The Triumph of Orthodoxy consists in the fact that in the monasteries of the Holy Mountain, and in a multitude of other Orthodox monasteries throughout the world, monks continue to struggle who have given their lives over to God. Among them are many young people, who have “sought out the life of fasting” and left the world for prayer and ascetic labor. Today in many majestic Western monasteries, which once accommodated 500 to 1,000 monks, there now live ten or fifteen; some monasteries are completely empty: young people do not want to enter monasteries, and the idea of a solitary life in the name of God does not inspire them. But Orthodox monasteries have been filled anew with monks and nuns. In the Russian Orthodox Church alone, there are nearly 700 today, while fifteen years ago there were all of eighteen. What could be the cause of the mass appeal of the monastic life to young people, if not the fact that the Orthodox faith continues to inspire them as much as it inspired their ancestors over the centuries? Many churches in the West complain about the lack of priests and the gradual decrease in the number of parishioners. But the Orthodox Church is one of the few Christian denominations whose number is constantly growing and in which the number of priests is not decreasing, but growing. 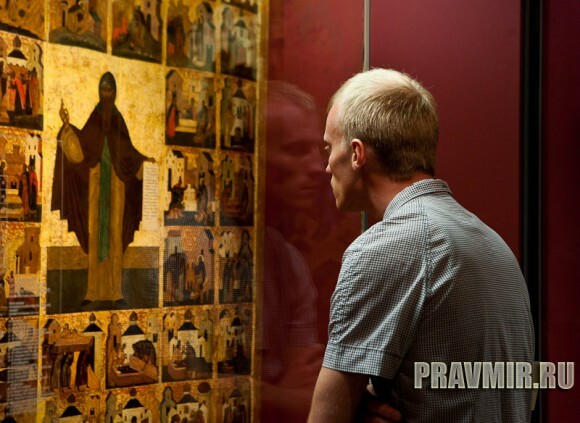 In the Russian Church alone, fifteen years ago there were 6,000 priests, while today there are 27,000, and thousands more young people are studying in seminaries and theological schools. This spiritual revival is also being observed in Romania, in Serbia, in Greece, and in other countries where Orthodoxy was not long ago persecuted and oppressed. All these facts give us great joy, but they should not become an excuse for unrestrained triumphalism or for extolling ourselves over our brothers and sisters from other Christian denominations. On the contrary, we must be open to them and should share with them that flame that ignites our hearts, that joy that inspires us, and that faith that transforms and changes our lives. Today, more than ever, are necessary inter-Christian solidarity, mutual understanding, and mutual support. Today all Christians – Orthodox, Catholic, and Protestant – face the challenge of militant atheism. Our children are taught in school that there is no God and that the world was not created by God, but came about as the result of a confluence of fortuitous circumstances; and that the religious worldview, represented by the Bible, does not correspond to modern “scientific data.” Unproven hypotheses are given as facts, and our children believe that people evolved from monkeys, and monkeys from fish or plants. Parents often helplessly throw up their hands before this rampant onslaught of atheist propaganda, not knowing how to protect their children from it. Today young people are instilled with contempt for traditional values, being told that these values are out of fashion and have outlived their time. The ideals of chastity, marital fidelity, and procreation have become unpopular: instead is preached free love, the rights of sexual minorities, abortion, and contraception. To the universal triumph of hedonism and individualism there is only one answer – and that is the answer of religion. Contrary to all these new trends, it proclaims that man is neither a monkey nor a beast; that he should not live to satisfy his carnal lusts, but for higher ideals, for he is created in the image and likeness of God. And today the task of all Christians should be to remind the world of eternal truths and the imperishable values that will never become obsolete, but will always remain relevant. Let us, dear brothers and sisters, treasure the priceless gift of the Orthodox faith, which we have inherited thanks to the struggle of many generations of Christians. Let us strive to pass on this faith to our children and grandchildren, sharing it with those near and far, so that Orthodoxy will continue to triumph, filling people’s lives with joy, meaning, and spiritual content.